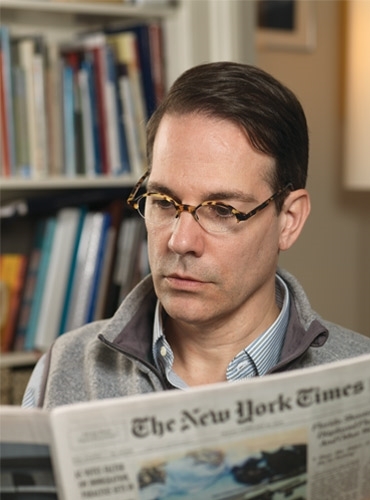 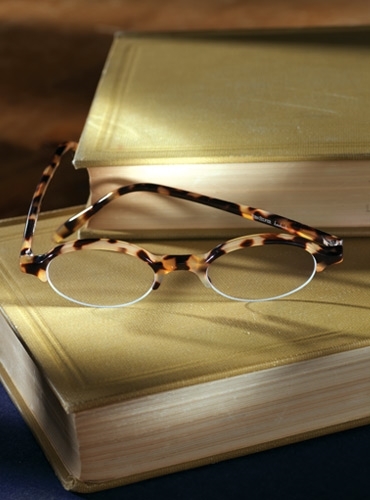 Our semi-rimless small frames offer extreme comfort as readers because the clear glass below the eye creates no impediment to vision when reading. 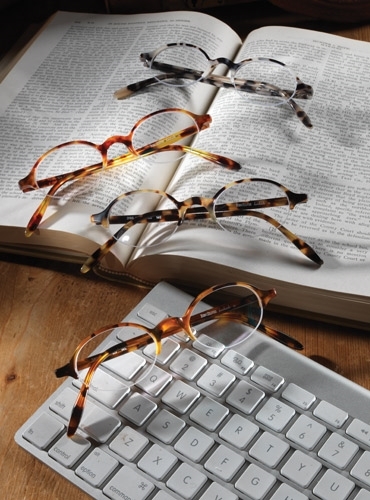 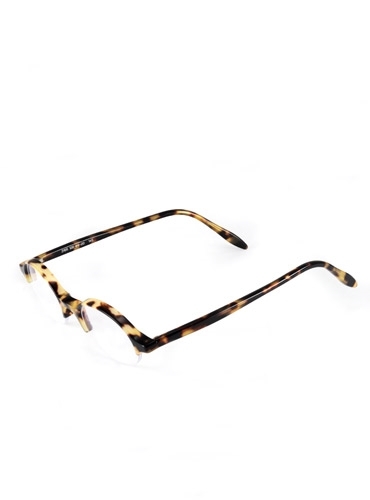 A small 44 mm lens with a 20 mm saddle bridge in continuous tortoise, makes these a handsome option for the petite face that has not yet found a need for readers. 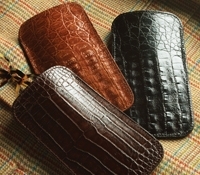 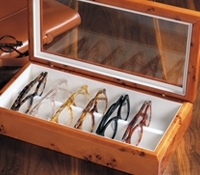 Shown in Tokyo tortoise. 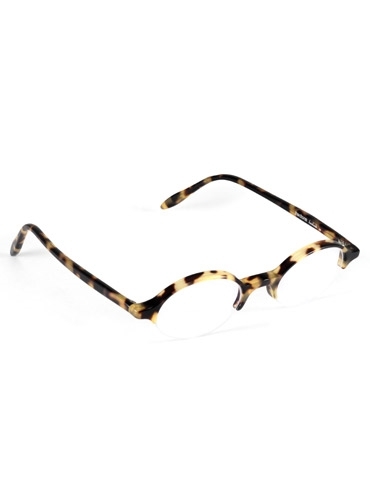 Also available: A-tortoise; C-Paris tortoise; D-our new cream tortoise.